Matt Mikalatos liked Jesus a lot. In fact, he couldn’t believe how much they had in common. They shared the same likes, dislikes, beliefs, and opinions. (Though Jesus did have better hair.) So imagine Matt’s astonishment when he finds out that the guy he knows as Jesus . . . isn’t. He’s an Imaginary Jesus: a comfortable, convenient imitation Matt has created in his own image. The real Jesus is still out there somewhere . . . and Matt is determined to find him. Startling, contemporary, meaningful. . . . Mixing questions of suffering and free will with a nexus of weirdness. Matt Mikalatos’s imagination is, simply put, miraculous. Matt Mikalatos has an incredible gift. . . . 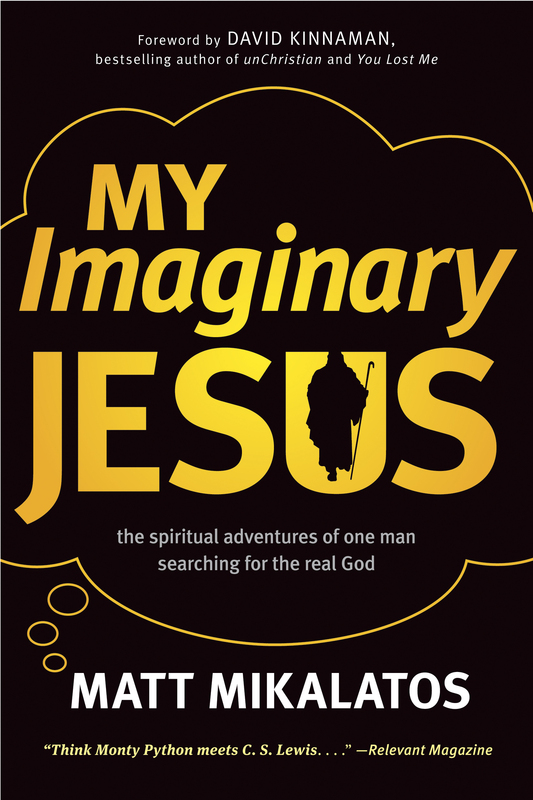 While this book is hilarious, it will also cause you to stop dead in your tracks and evaluate what you really believe.